Mexican food is one of my all time favourites - the endless avocado, beans and interesting flavours make it exciting. We don't have any good Mexican restaurants (that I know of) near where we live, so I'll often cook Mexican dishes at home instead. Enchiladas, burritos and fajitas are all easy meals to cook a vegetarian and meat version; I'll fill mine with beans/vegetables, while my husband has chicken strips and peppers. 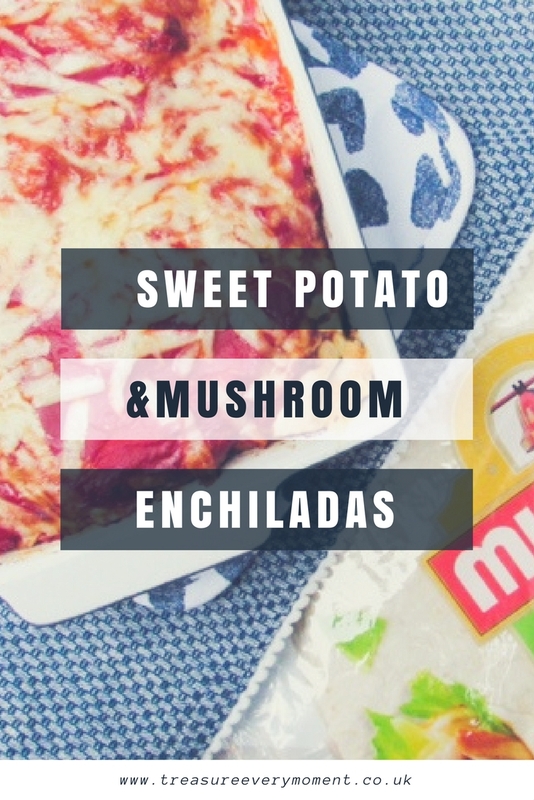 These sweet potato and mushroom enchiladas are seriously tasty, easy to make and full of flavour. I love having them with a simple homemade guacamole (fresh coriander, avocado, cherry tomatoes and lime juice) and soured cream. 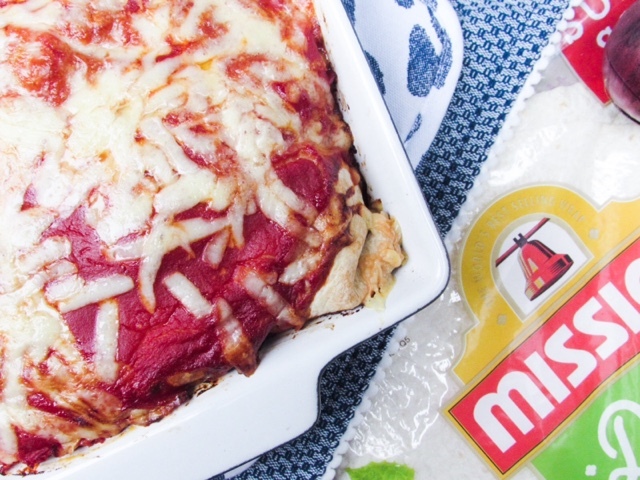 My husband will sometimes have them with Mexican rice, you know one of the really easy microwave for two minutes packets. This dish also makes a really nice centrepiece for a dinner party, as it can be made in advance then popped in the oven when your guests arrive. To make this for Isabella all I'd do is not use a packet spice mix (too much spice/salt) and instead add paprika, black pepper and ground coriander. 1) Preheat the oven to 190'C. Prick the sweet potato and place in the oven to bake for 40-50 minutes. 2) Add the sunflower oil to a large frying pan over a medium heat. Add the onions and peppers, cover and cook for 10-15 minutes. Stir every now and again. 3) Once the onion and peppers are almost cooked add the fajita mix and mushrooms. Cook for 5-10 minutes. 4) Add in the chickpeas, stir well and cook for 2 minutes. Remove the sweet potatoes from the oven, take their skins off and chop into chunks, add to the pan. 5) Pour in about a quarter of the passata and stir well. Take off the heat. 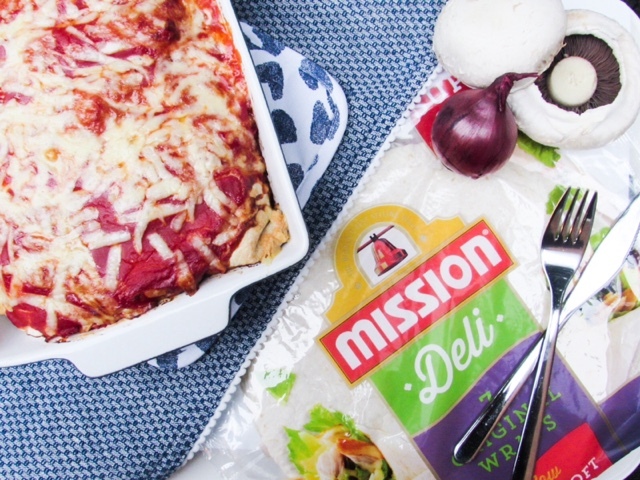 6) Spoon the mixture into the tortilla wraps, fold them up and place into an ovenproof dish. Pour over the remaining passata and sprinkle with cheddar cheese. 7) Bake for 15-20 minutes, or until the cheese is melted and golden. Serve with soured cream and guacamole. 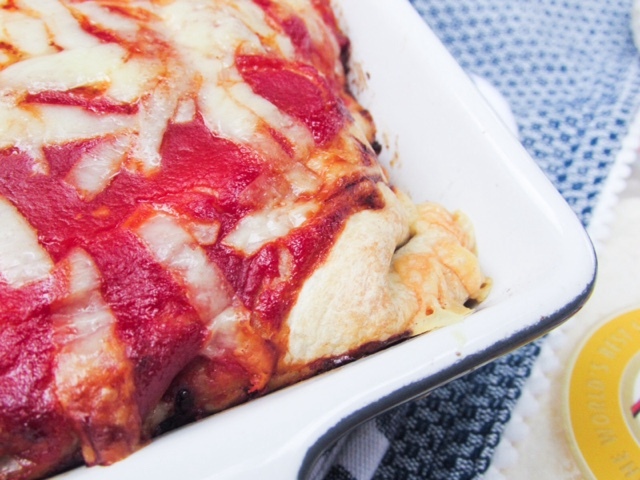 What is your favourite enchilada filling? Ohh! This sounds very tasty! I am saving the recipe and it will find it's way onto my weekly meal plan soon. We are huge fans of sweet potatoes but have never thought of using them in this way thanks so much for the fab inspiration - pinning this for later! Ooh I've never done these before, we tend to do chicken or chilli beef! They sound delicious and it's always good to have a veggie meal to save money each week! I absolutely love Mexican food especially enchiladas. It's a shame I don't like sweet potato though as yiur recipe looks delicous. These sound healthy yet indulgent at the same time. Yum! These sounds amazing although I have a feeling I would be the only one in the house who'd eat them. I absolutely love Mexican food, in fact it's one of my favourites. I love what you've done with the recipe as I've never thought of putting sweet potato or mushrooms in there. I must try this out soon.